For many authors, the waves of marketing, promotion, and publicity required to launch any novel can feel like a marathon of hard labor. 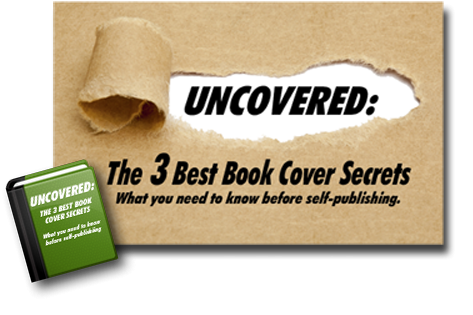 In fact, launching a book is such a tremendous amount of work that an entire industry has sprung up to handle the undertaking—book marketing firms with hefty fees that can swiftly run through an author’s promotional budget. But if you can’t afford a bells-and-whistles book marketing firm, what can you do to promote your book without looking like an amateur? Check out these DIY tips on how to launch a book like a pro. Every marketing campaign begins by making sure you know who you are and what you’re selling. Choose a design, imagery, and colors that project the essence of what you write and who you are to create a consistent author brand. Use your favorite photo-editing software or a free online graphic design software like Canva to create personally branded social media visuals such as banners for Twitter, Google+, Facebook, etc. Make sure your website consistently uses the same colors, imagery, and design of your brand on every page. Have branded business cards to hand out to editors, agents, publicists, and colleagues. Create branded swag like pens, bookmarks, photo coasters, and magnets to give away at events, conferences, and book signings. Have a professionally branded book trailer made to set your book apart from the competition. Build a branded digital media press kit for pitching TV, radio, newspapers, and magazines for a story, or libraries and special interest groups for speaking opportunities. A good book marketing firm will target their promotion and publicity efforts to social media sites or radio, TV, newspaper, and magazines that serve your particular audience. Once you know who you are and what you’re selling, you can do the same with some time, sleuthing, and savvy. Get the best book blurbs: Nothing screams “amateur” like a cookie-cutter email sent to a thousand random authors begging for a review. A blurb from a sci-fi author isn’t going to do much good if you’re promoting a romance novel, so focus on popular authors who write in the same genre as your book. It takes a little more time, but a busy, successful author is more likely to respond to an email that expresses admiration and familiarity with his work as well as your hopes for an endorsement. Connect with bloggers: Target bloggers who review the type of book you write and read their submission guidelines carefully. Then craft a personalized query, giving them ample time to respond and schedule. Request advance book reviews: Netgalley is an expensive option for self-published authors, but it does expose a book to thousands of respected librarians and reviewers. Fortunately, there are cheaper options for the DIY author. Consider sending out a newsletter blast to the true-blue fans on your mailing list, asking for advance reviews. Alternatively, seek avid readers in your genre on line in Google+ communities, Facebook groups, or among your Twitter followers. You can use a service like Bookfunnel to make the transfer of electronic ARCS simple and seamless. An author can never start too early when it comes to promoting his or her book. Blurbs and big-market endorsements have to be solicited long before the cover is crafted. Media outlets schedule their guests, articles, and interviews months in advance. Online ads may need to be placed a month or two ahead of your anticipated launch. Social media posts happen in the moment, but you can take advantage of tools like Hootsuite or TweetDeck to schedule your daily posts in the weeks up to and after the launch. There’s no question: Arranging the marketing and publicity for a new book is a daunting process. Many authors aren’t willing to invest their precious writing time in marketing. If you have the funds and would like to consider hiring help, make sure you understand the fee structure, responsibilities, and expertise any potential, social media consultant or book publicist is offering before you sign on the dotted line. And if you’re doing it all yourself, check out the many marketing support services available through Self-Publishing Relief. QUESTION: How much time do you dedicate to promotion, marketing, and publicity efforts in a single day? A week? A month?